Joseph Duffy can expect the Conor McGregor questions to keep on coming. Duffy has been forced to respond to countless questions over the years about whether a rematch with 'The Notorious' would interest him and while he is eager to prove that his 2010 submission victory over McGregor was no fluke, he is not preoccupied with chasing a payday against the former UFC featherweight and lightweight champion. Duffy's clash with McGregor in Cork nine years ago turned out to be one of the shortest of the Donegal lightweight's career as he sunk in an arm triangle and handed his Irish rival the second defeat of his professional career. Ever since 'Irish Joe' made his UFC debut, it's been suggested that a rematch is inevitable and he admitted that he would love to headline a show in Croke Park against McGregor. Speaking to Peter Carroll on Eurobash, Duffy said: "There’s always going to be people throwing my name out there [because of our first fight]. For me, it’s just that far in the past…the option is always open. If that happened, I would love it. Croke Park, it’s a dream for anyone; it’s like a Dublin vs. Donegal match for me. 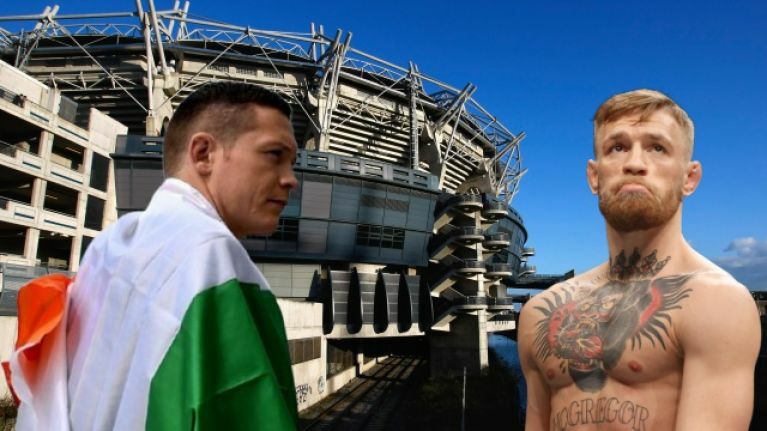 It would be a huge fight and I’m pretty sure we would sell out Croke Park no bother, but it’s not something I’m pursuing, I just want to do this my way and I suppose I’ve got to take one fight at a time. "If that opportunity presents itself, of course I’d love to have that fight again. Look what [McGregor] has gone on to do and obviously I would love to prove that I could beat him again. I’m not going looking for [a rematch]; I’m just focusing on my own thing. I’m not going to be calling him out and all this craic, it’s just not me." Duffy is expected to return from a 15-month layoff when he meets Marc Diakiese at UFC London next month and will be hoping to avoid consecutive defeats for the first time in his career by getting back in the win column against the flashy Brit.